Note that beside the large map of Europe there is a smaller one of the lands occupied by present-day Israel. 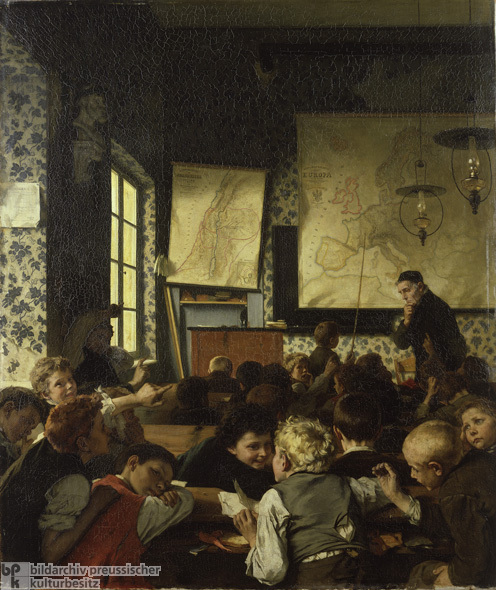 Original: Staatliche Museen zu Berlin – Preußischer Kulturbesitz, Nationalgalerie. Photo: Bernd Kuhnert.